As the title implies, A Stranger In Paradise treats Bangkok as an ultra-desirable location whose residents wouldn’t want to live anywhere else, and where foreigners soon become seduced by its heavenly wonders. It’s a strange stance to take, given that the film then actually depicts the city as a scuzzy underworld of ruthless criminals, corrupt cops, and drug-addicted prostitutes. 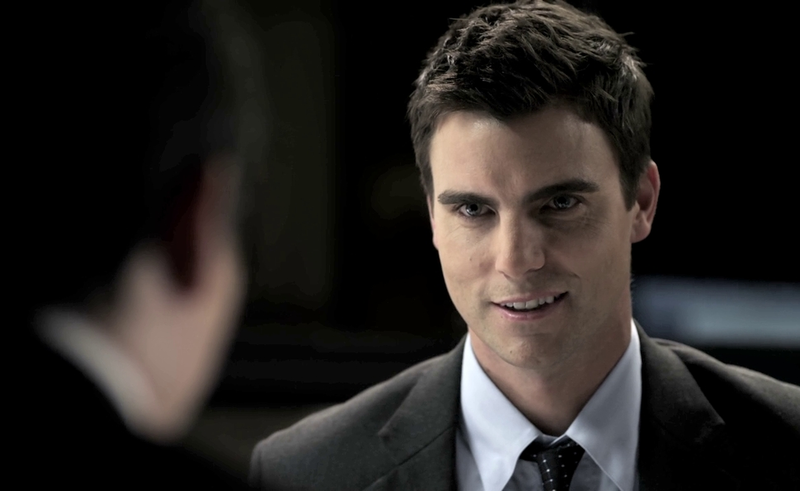 That last group is of particular interest to Josh (Colin Egglesfield), an American who arrives in Bangkok and immediately orders two for-hire beauties for his club-running brother Paul (Stuart Townsend). Director Corrado Boccia views mafia intrigue and working-girl entertainment as positive aspects of the metropolis, however. That’s just one of the many baffling aspects of this saga, which begins with Josh being questioned by police about a string of murders and a missing stash of $80 million, then flashes back eight days earlier, finding him about to make partner at his NYC investment firm. In that opening, Josh immediately establishes his repugnant egomania by jokingly asking a colleague to lavishly praise him. He’s an arrogant, ambitious white-collar cretin without a single sympathetic trait to call his own, though A Stranger In Paradise has no interest in censuring him; on the contrary, Josh is regarded as a fun-loving protagonist, even once it’s revealed that his firm is under investigation from the SEC, and his boss suspiciously sends him on a vacation (with an old high-school yearbook in tow) to visit his brother in Thailand. Upon arriving, Josh discovers that Paul is in deep with the Thai mob, and that their psycho enforcer Lek (Byron Mann) is on the warpath because Josh’s old boss has been arrested, after stealing millions of the local godfather’s money. What follows is rote action-suspense with a dash of fish-out-of-water drama, as Josh flees pursuing thugs, strikes up a romantic relationship with his brother’s badass enforcer Jules (Maria Full Of Grace’s Catalina Sandino Moreno), and makes “Eww, gross” faces about Thai cuisine. In order to keep up with Egglesfield’s charisma-free performance, Moreno delivers every line like she just memorized it two seconds earlier, and Townsend affects a super-cool demeanor that’s undermined by laughably exaggerated expressions. This trio of leads is so wooden, they make Mann’s hysterically over-the-top villainy seem refreshingly energetic by comparison. Unfortunately, Lek’s hyperactivity isn’t nearly enough to tip A Stranger In Paradise into the realm of unintentional comedy, so the film goes through its twisty-turny paces with a dullness that Boccia’s whooshing pans and chase sequences can’t alleviate. In the end, the film has nothing to say about the link between corporate malfeasance, gangland criminality, and crooked law enforcement. It’s content to merely celebrate, with wholly unwarranted glee, the ultimate triumph of a man who revels in his own awesomeness. If that’s the type of American that Thailand wants, they can have him.